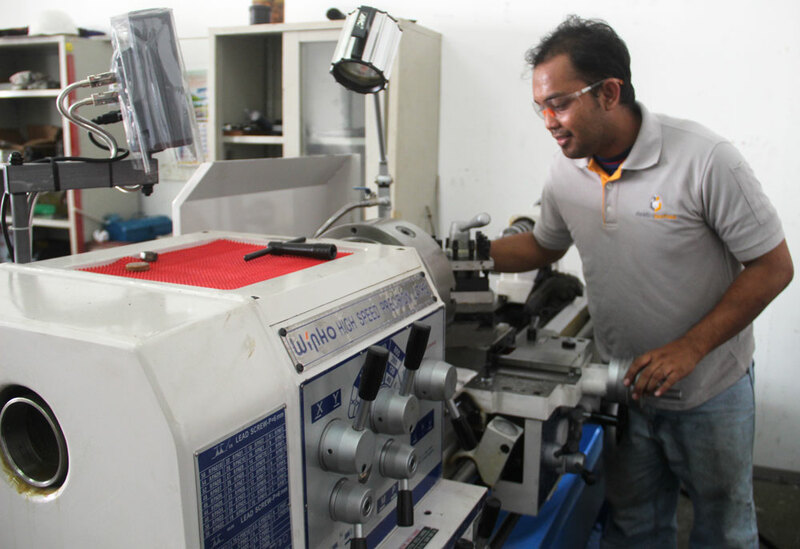 We provide troubleshoot, maintenance and repair services involving machinery and equipment systems. Our experienced specialists have seen many facilities and corrective maintenance programmes that can tailor programmes that fit your facility needs. DETRAC was selected to do complete reengineering missile testing system. Completion was achieved within one year with both testing system fully operational. Dispenser is part of the Sukhoi 30MKM Counter Measure Dispenser System(CMDS) which dispensing three types of countermeasure including chaff, flare and combination of both. Serviceability test analysis done with DETRAC second line test set system, UV-30MK.8700 Tester. Dispenser is part of the HAWK Counter Measure Dispenser System (CMDS) which dispensing three types of countermeasure including chaff or flare. ANDROS II, the robust unmanned vehicle for rapid response mission of TUDM Explosive Ordinance Disposal (EOD) squad. Units been serviced, majoring on electronic module, part replacement and rewiring. Destini is a company that provides integrated engineering solutions and has big interests in the aviation, marine, land systems and oil and gas sectors. No 10, Jalan Jurunilai U1/20, Hicom Glenmarie Industrial Park, 40150 Shah Alam, Selangor Darul Ehsan, Malaysia.